SECURE solution: Say goodbye to all those cables and connectors that never work right! The FASTEST solution on the market: minimum configuration, calibration, measurement, export, calculation and report generation time. 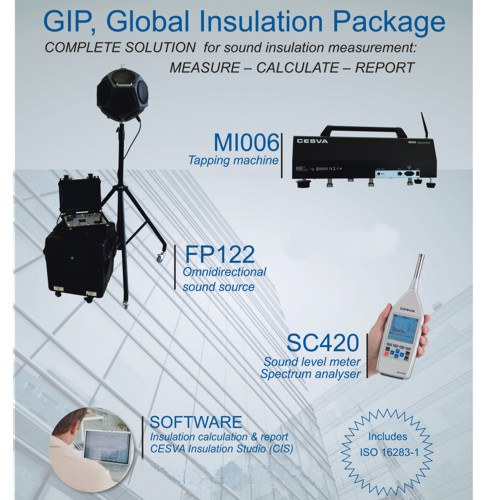 GIP makes a substantial leap for the improvement of field airborne sound insulation projects, as much for projects with a great quantity of measurements as for those needing a limited quantity. Enter a new dimension with GIP. The insulation measurements will not drag on & on; now they can be done comfortably, practically and with minimal effort. GIP covers all the process: TRANSPORT + ASSEMBLY + CALIBRATION + MEASUREMENT + CALCULATIONS + REPORTS. A range of accessories has also been developed to completely satisfy the requirements set out in airborne, façade and impact sound insulation measurements. The instruments: SC420/SC310/SC260 sound level meter, FP122 sound source and MI006 tapping machine are the components that carry out most of the hard work. The computer with CESVA Insulation Studio (CIS) and CESVA Measuring Assistant (CMA) applications are the brains of the solution. 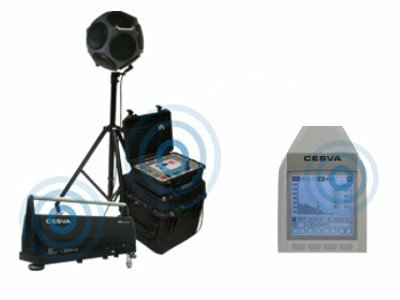 The GIP solution for insulation measurement consists of centring the measurement in a laptop computer which, wirelessly and in real time, controls CESVA sound sources and sound level meters (SC420/SC310/SC260). This computer can control instruments in emission and reception rooms from outside - even when placed on other floors or in other buildings. By means of CESVA Measuring Assistant Application (CMA) the computer guides the user, step by step, during the measurement process. This means it is not necessary to memorize the measurement process. 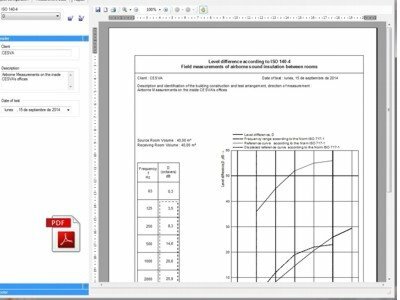 The application suggests the most appropriate methodology to satisfy the standard requirements, in the most efficient way, taking into account the number of instruments being controlled. CMA can measure airborne insulation (building and façades) and impact sound insulation. The control of the instruments is automatic. The computer turns on/off the sound sources and receives the data measured from the sound level meters. This data is checked in order to satisfy the standard requirements and afterwards is stored in a data project structure. This allows you to check the results during the measurement process, and their coherence. Once the measurement process is finished all data is included in the insulation project. 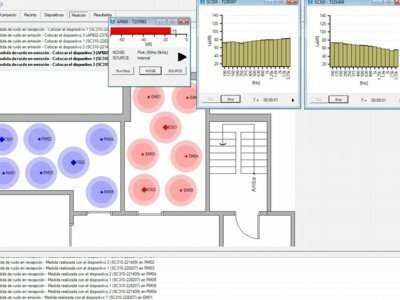 This project can be opened by CESVA Insulation Studio, which instantaneously creates the standard report. CIS opens the data project, identifies each one of the measurements, makes the calculations and finally generates the report.